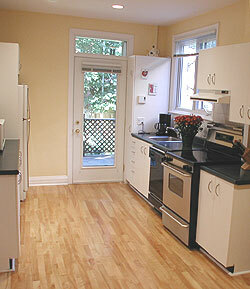 This kitchen didn’t need to be ripped out, but it did look dated and dark. 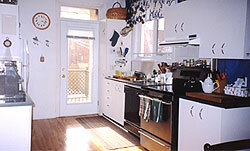 Generally speaking you want to keep a kitchen bright wherever possible. Something about everything being bright and sparkly clean makes it feel new, or newer at least! 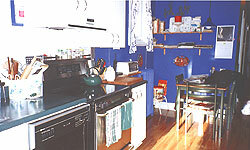 Yes, this is the same kitchen before and after! 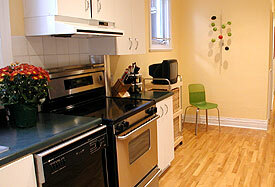 It’s amazing how much bigger and newer a kitchen looks with fresh paint and less clutter! 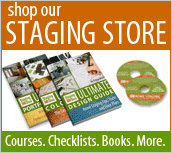 Need help with staging your kitchen and other key rooms? With a minimum two hour consultation in your home, I will tell you what changes you can make to your kitchen and every other room to ensure that you’ve decorated your home properly before you put it on the real estate market. Contact me to learn more. If you’re outside the Toronto area, I can still help you by phone working from photos you email me. Learn more about this virtual staging service. 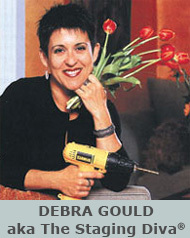 Debra Gould has staged millions of dollars worth of real estate, including seven of her own homes. 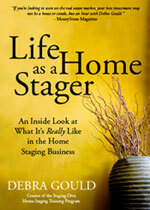 She offers Home Staging, Interior Redesign and Color Consulting services, as well as the StagingDiva.com website. 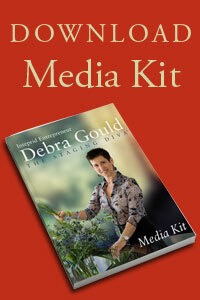 Debra has gained international recognition and has been featured in major media in the US and Canada including: HGTV, CNN Money, CBC National News, CBS Radio, GlobalTV, CityTV, The Wall Street Journal, Woman’s Day, Reader’s Digest and more.